DISCLAIMER – Read it, it’s important! 1. This site applies to the state of Ohio and matters of federal law only. 2. 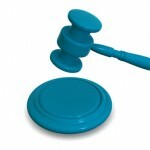 The info on our site is not legal advice because we don't know the facts of your case. If you want legal advice, you must meet with a lawyer. 3. Reading this website or sending documents to us does not create an attorney-client relationship and information or documents you give us will not be kept confidential unless you call us, tell us who is involved in your case, and let us do a conflict of interest check. Find us and Like us on Facebook! 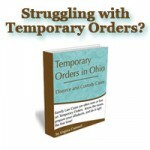 Ohio LGBT Shared Custody Agreements: Get it in Writing! From our downtown Columbus offices we serve clients throughout Ohio. We also service areas such as Bexley, Blacklick, Columbus, Delaware, Dublin, Gahanna, Hilliard, Lancaster, Marysville, Westerville, New Albany, Newark, Pickerington, Plain City, Powell, Upper Arlington, Worthington, Lancaster, Zanesville and more. In addition, we serve clients in all Ohio Counties, including, but not limited to: Franklin County, Delaware, Licking, Logan, Fairfield, Union, Marion, Muskingum, Pickaway, Ross, Richland, Madison, Morrow, Knox, and more. Columbus Ohio Divorce Attorneys, Franklin County Family Law Attorneys and Ohio Custody Lawyers honoring the duty to serve the best interests of our clients.